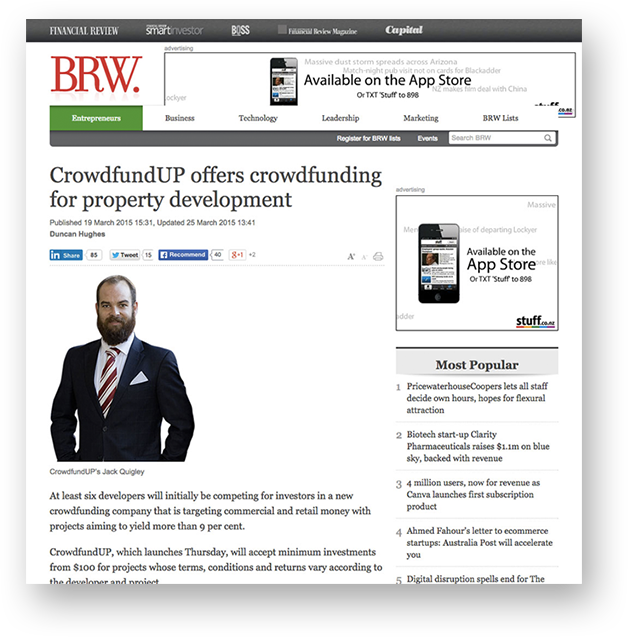 CrowdfundUP, which is authorised by financial regulators, including Australian Securities and Investments Commission, will generate income through success fees charged to developers if they get an agreed investment. The idea itself is straightforward: investors can put their money into development projects in exchange for equity, while developers can access an alternate source of capital. 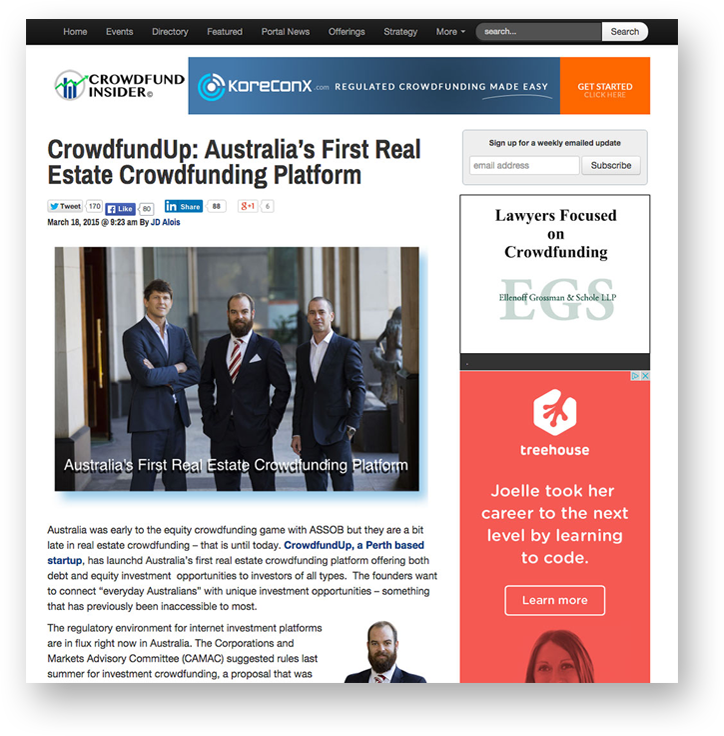 CrowdfundUP have put into place a system that allows a limited number of smaller investors to put money in. 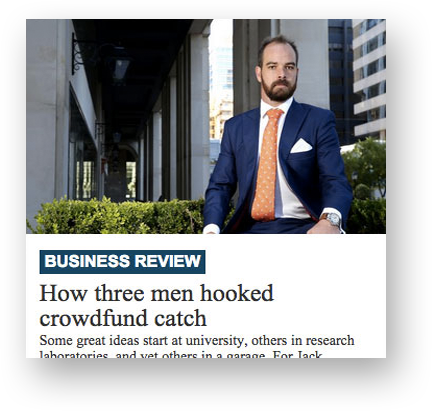 CrowdfundUP ... is one of ten Australian fintech companies that will travel to London in September courtesy of the UKTI and British Airways to take part in London fintech week. 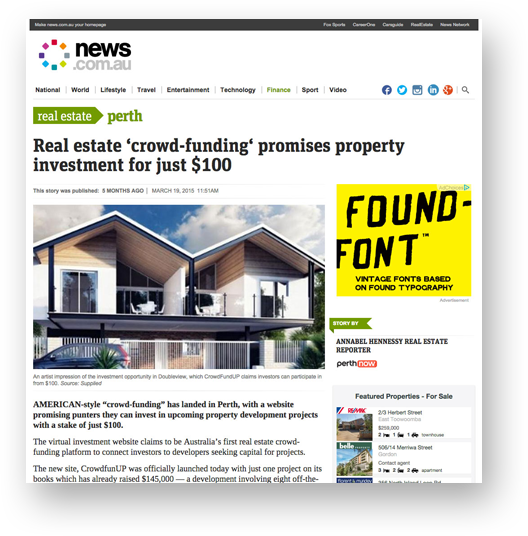 Real Estate crowdfunding platform CrowdfundUP has just closed its first deal, a $500,000 project listed by WA-based property developer, Megara. A rundown of the 10 leading real estate crowdfunding platforms with operations outside the US, selected according to the number of deals funded and amount of money raised ... 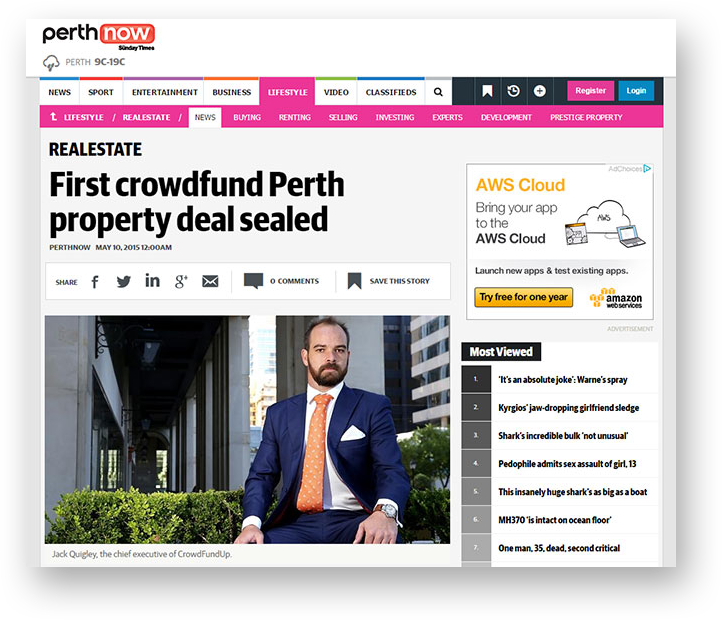 Launched early this year, CrowdfundUP is a Perth-based property crowdfunding platform backed by high-level investors such as BDO Australia. 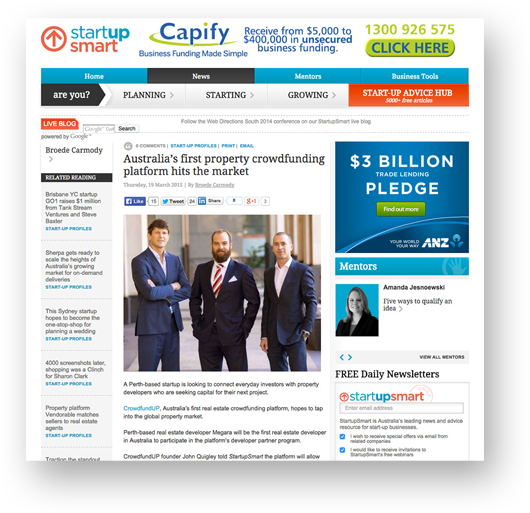 A new crowdfunding company that is targeting commercial and retail money with projects aiming to yield more than 9 per cent. CrowdfundUP, which launches Thursday, will accept minimum investments from $100 for projects whose terms, conditions and returns vary according to the developer and project.